New Delhi: Dressed in green jerseys made from recycled plastic, the Royal Challengers Bangalore on Sunday (April 7) decided to bat for a healthy planet in the match against Delhi Capitals. The motto behind green match also called ‘Game For Green’ campaign this time was to spread awareness about the importance of waste segregation and the 3R’s – recycle reuse and reduce. This is not the first time the team has taken such step, in the previous matches, as part of their “Go Green” initiative, the team has worn their green jerseys. 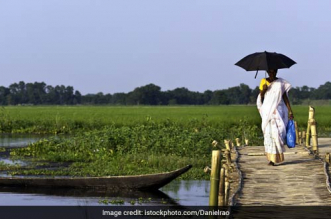 It is the team’s promise to Go Green and their way of stepping up to save the planet. Everyday Namma Bengaluru generates 100s of kilos of mixed waste which is unsegregated, making recycling expensive and time-consuming. When waste is segregated, less waste goes to the landfills. Challengers, don’t let your waste go to waste! The team also made an appeal to all its fans to follow the basic rules of waste segregation at the stadium and make sure the stadium remains clean post the match. Segregating waste as wet and dry makes recycling easier. There are wet and dry waste bins at Chinnaswamy Stadium for segregation. Challengers, the next time you visit the stadium, stump the right bin! 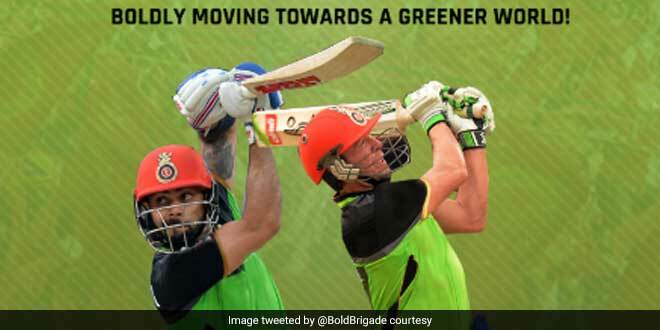 #CleanSweep #BattingForThePlanet #PlayBold, reads RCB’s tweet. Apart from the messages, RCB also executed a fan army, along with 40 children from Samarthanam, an NGO for the persons with disabilities, and the Karnataka State Cricket Association to conduct awareness about waste segregation at Cubbon Park in the city on Sunday afternoon.